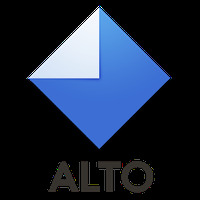 Email - Organized by Alto Android - Free Download Email - Organized by Alto App - AOL Inc.
"Organize all your email accounts with one app!" We are working on the description of Email - Organized by Alto developed by AOL Inc. Developer: AOL Inc. is based in United States	- Developer trusted by Android Market. Notifies you when you receive an e-mail. Do you like Email - Organized by Alto?